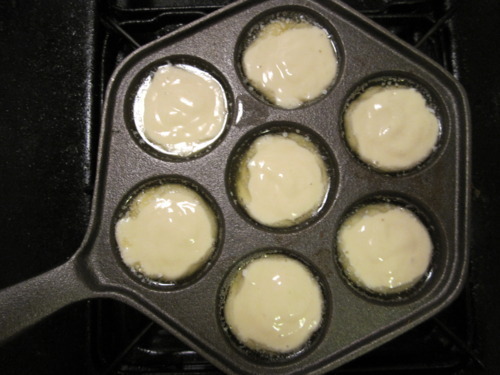 Editor’s note: here’s the second post in the republication of my 2-part series on poffertjes vs. aebleskiver! 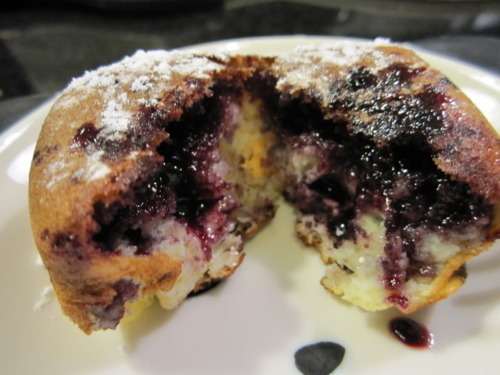 Behold the contender: Aebleskiver (Danish Pancakes)! These pancakes are delicious, but they were kind of a pain to make. 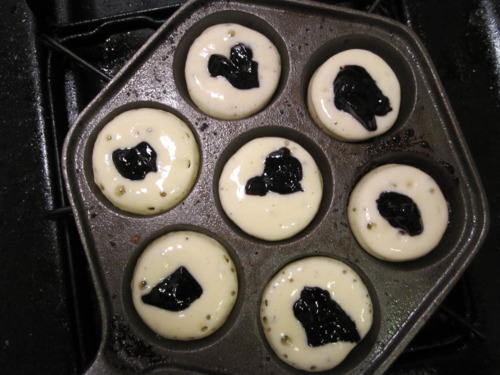 My biggest issues were with keeping the filling from leaking out of the pancakes and turning them. Maybe I need a set of these? 2. finding a good dough to filling ratio (which I did not excel at). I noticed that the batter looked really yellow in comparison to other pancake batters, I think because of the buttermilk. I thought the plain pancakes were the best – the ganache ones may have been better with dark chocolate, and the jam ones were a bit too sweet for me. 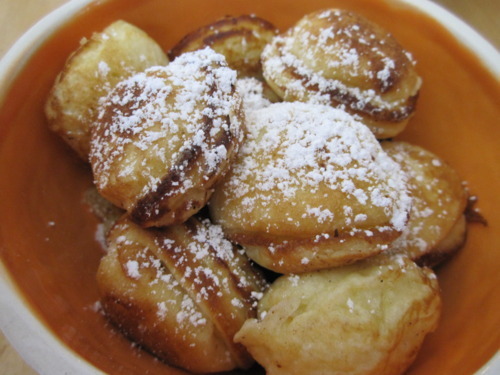 The plain ones, though, were like the glorious child of fried dough and pancakes in bite-sized puffs.